The recipe at "Less is More" this week is to include some metal on your card! There seems to be lots which could be added, but I have gone with a buckle for one card and a charm for the other! 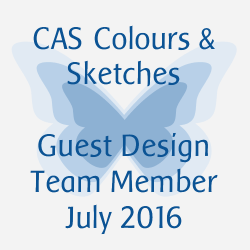 I really love the simplicity of this one.. almost to the point of thinking that I haven't done much to make it... but the main feature of CAS is knowing when enough is enough... and I think that this has enough! The die is from Tattered Lace! 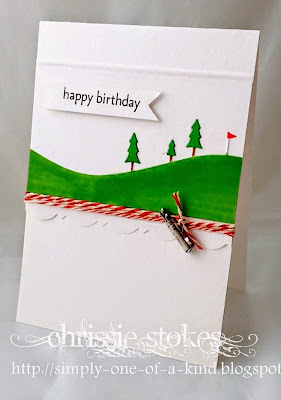 This card is another simple one with a Memory Box Golf Landscape die coloured with alcohol markers, mounted on a scored panel, with a Fiskars punched edge. The metal charm is suspended on some baker's twine and the sentiment and its tag are from Stampin' Up! Both lovely cards Chrissy but the one with the buckle is awesome. Really love that one. It is as you say you have to know when it's enough. That's the difficulty for me. Still haven't figured that out completely. Thanks for the inspiration. Great cards, Chrissie - the little metallic elements bring an elegant finish to the designs! Love your first card - just beautiful and the golf charm on the second is such a fun touch :) Thanks for the tip on extending the die cut frame - I shall check it out! WOW, your first card is so stylish and elegant, Chrissie!!! That buckle is so beautiful and I love the sentiment die!!! It really doesn't need anything more - it's CAS at it's best!!!! Love the cute little scene you've got on your second card!!! The bright green and red are so lovely against all the white!!!! Love the cute charm, the twine and the lovely scalloped strip!!! Both cards are lovely, Chrissie!!! Both great cards! Love the perfect stylish and super CAS first card! On your second the charm is so perfect with the golfcourse you made! Enjoy the long weekend! Two super cards...so classy and elegant and such a cute charm you have added to the second one. Your wedding card is perfection - the winner. The wedding card is so elegant - absolutely perfect; and the golf range scene makes me wish I could try that course! Love all of your pieces, always. The band around the card is so elegant. Thank you for sharing with us at CASology! That wedding card is definitely a winner. Love it! They are both wonderful, and I really truly love your CAS wedding card. You definitely knew when to say when. Thanks so much for playing along at CASology this week. Your white card is simply lovely. 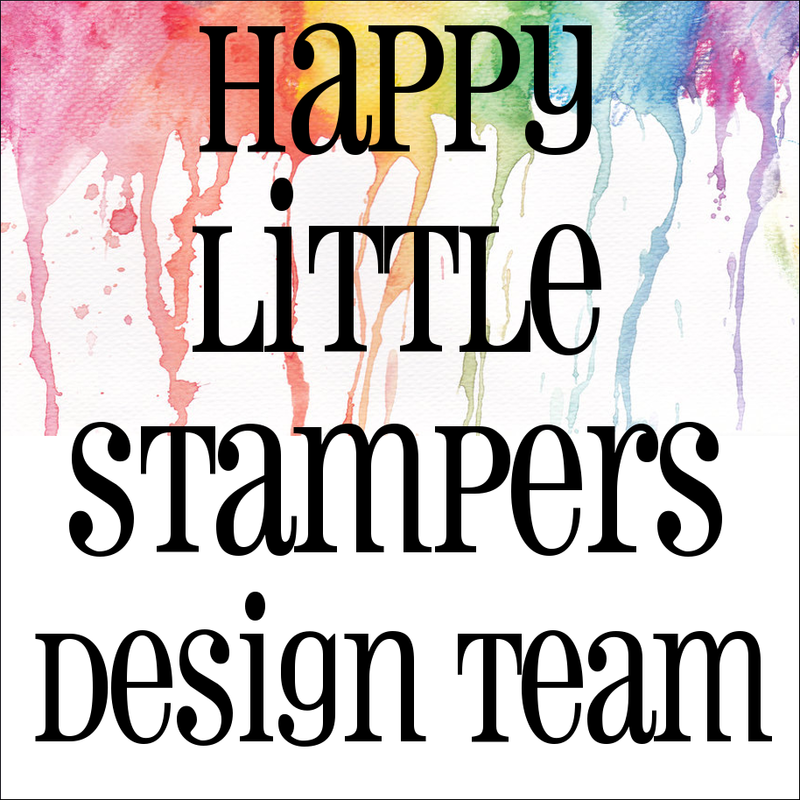 Sometimes I feel cheated if a card is too simple and I haven't done much, others make up for that! First card is a pure elegance. I like it very much. Also the second one is amazing. Great idea! Lovely so elegant!!!! 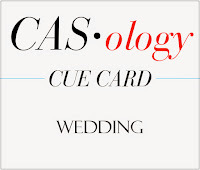 So glad you joined us at CASology!!! 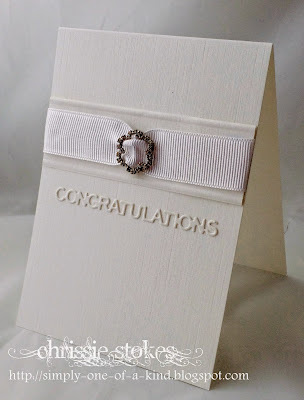 Simple maybe, but that first card really is so classically elegant Chrissie - gorgeous!